.::Accountability::. Remember this TODAY as Valentines Day Chocolates are 1/2 off!! – . ::3xF Fitness Studio::. .::Accountability::. Remember this TODAY as Valentines Day Chocolates are 1/2 off!! 3xF::Straight up Saturday:: You get what you sweat for!! Are you being truly honest with yourself? You say you are putting the work in, but not seeing results?! You can’t out work a bad diet! 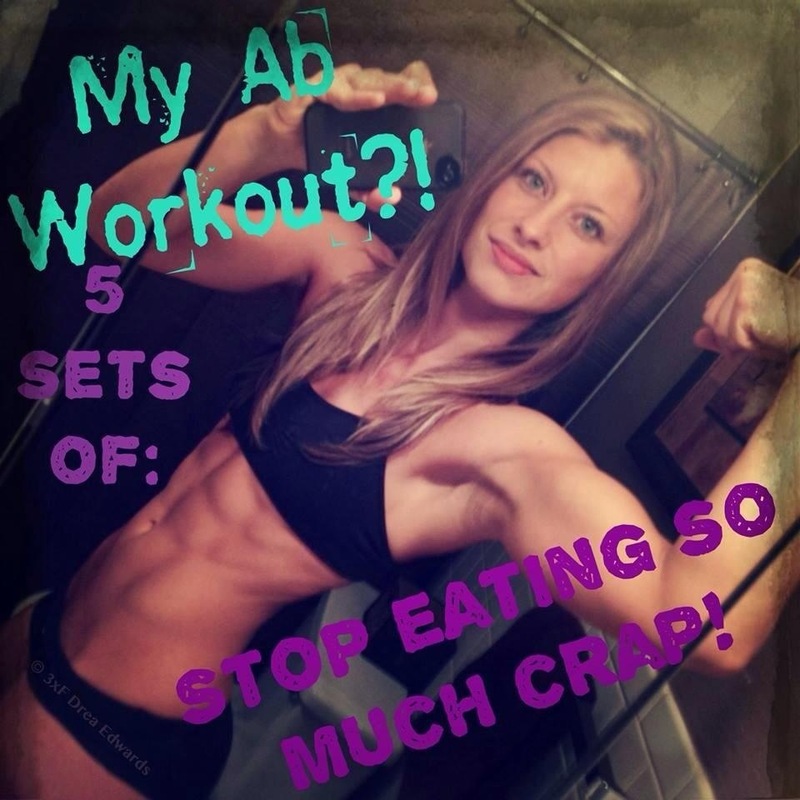 90% of Abs are made in the kitchen! Grab a friend or spouse for an accountability partner. Your HEALTH is important and it starts with a good healthy diet, that in turn makes the body feel and PERFORM amazingly. Hey… some change in physical appearance isn’t bad either! Just an added bonus! Be blessed friends!! Next Post 3xF Faith|Family|Fitness . ::Quick HIIT Session::.